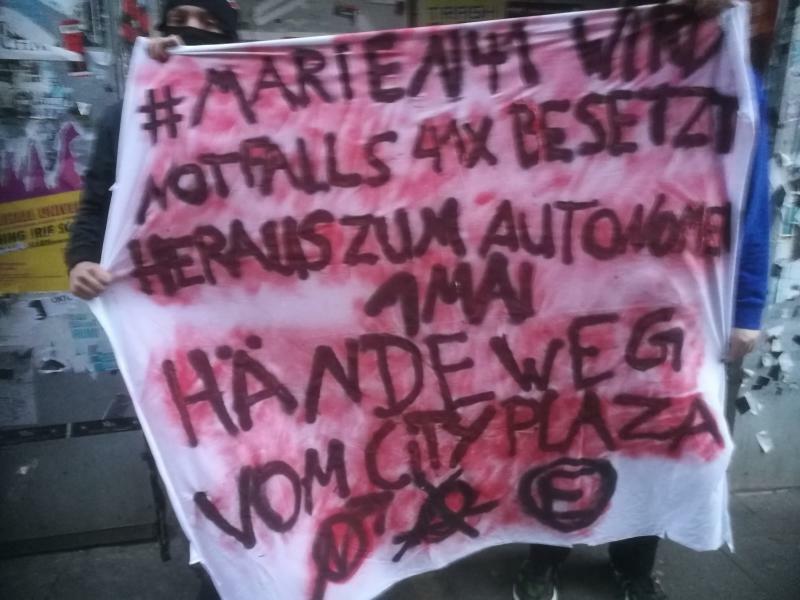 In August and September 2014 the Marien Street 41 was squatted twice and immediately evicted again. The protected monument was barricaded with aluminium plates by the former owner to make it more difficult to occupy the building. 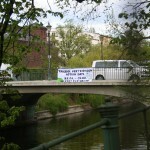 Until today the city of Wuppertal did nothing against this clear violation of the regulations for protected monuments. 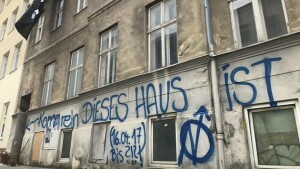 Two houses were today re-squatted in Jeruzalem (Amsterdam) after being left empty by Rochdale since the eviction of the previous squatters in January. 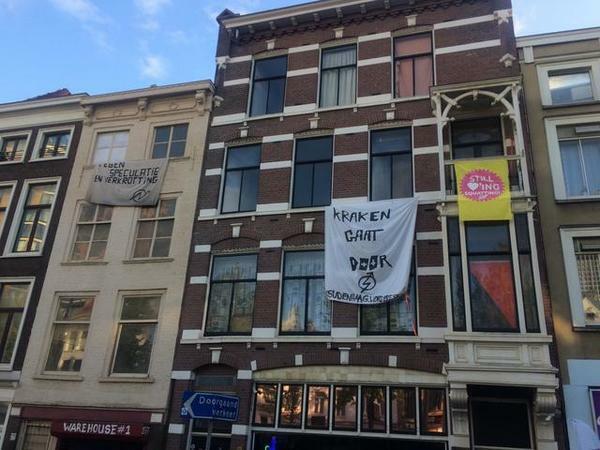 Today two houses were re-squatted in the neighbourhood of Jeruzalem (Amsterdam). These houses on Minckelersstraat have been left empty by the housing corporation Rochdale since the eviction of the previous squatters at the end of January 2017. 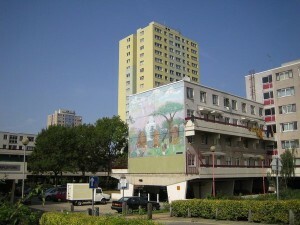 The neighbourhood contains a mix of social and free sector housing, and the entire area is being renovated or demolished and redeveloped. The previous squatters were presented with court documents by Rochdale detailing their plans for the houses which today were re-squatted – they were to be used as modelwoning, to demonstrate to residents what to expect from their renovations. 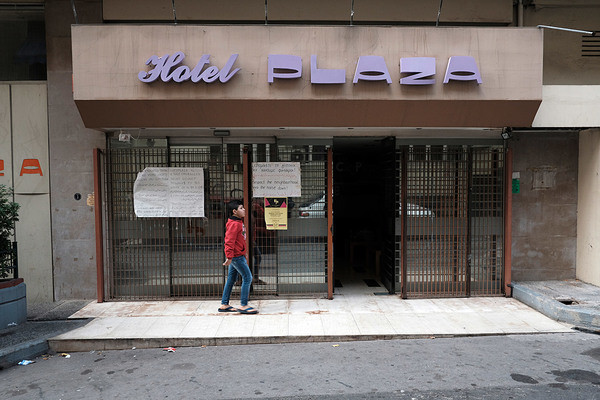 However, this purported use of the properties never materialised, instead they were boarded up and left vacant. 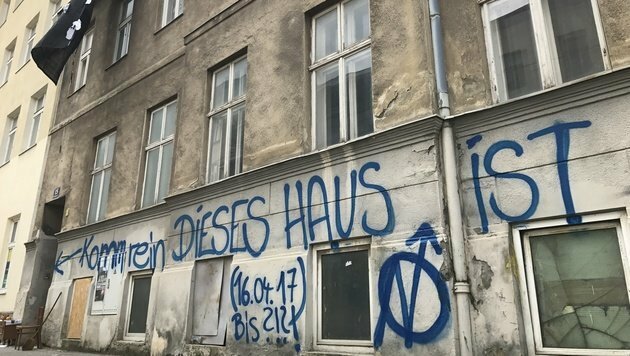 Vienna: Squat in Kienmayergasse 15 evicted. And now? 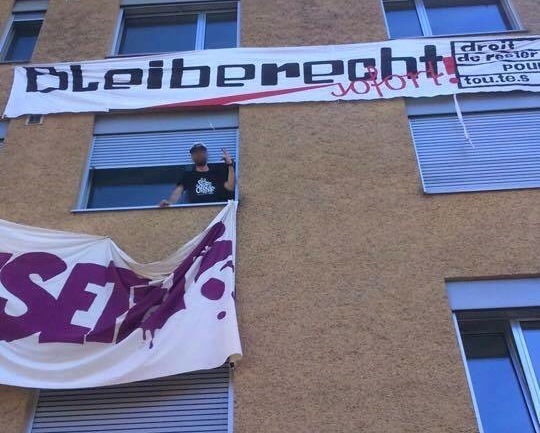 The occupation of the house in Kienmayergasse 15 is over, but the struggle goes on! Noone left the house voluntarily! Noone fulfilled the demands of the owner and noone left voluntarily! 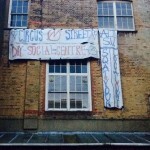 At the time of the eviction there was noone home, but that doesn’t mean that the occupiers didn’t prefer to stay! 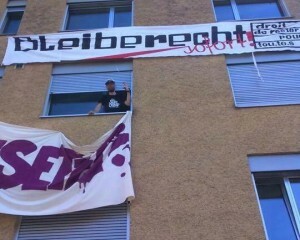 That the police evicted the building based on an action for eviction of the owner „Vestwerk“, shows clearly who the law and the its executioners are protecting: property, profit, power,… Those who don’t these things loose, get displaced, become the affected ones of a capitalist logic of exploitation, which they didn’t choose. To live a self determined life noone needs neither a law nor executioners, noone who decides over our homes to make profit out of it. What we’d rather need is solidarity within the neighborhood, a net of mutual support and an atmoshpere in which the police and the owner know, that they can’t play with our lifes and do what they want with us. And if this occupation succeded in anything, than it was this! 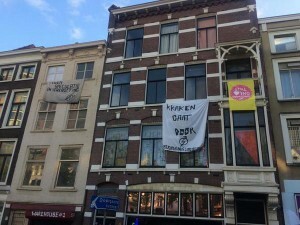 Today 24th April, we squatted Spui 275A and 277, two buildings empty for many years. Cop-green & Pinehill-grey in the disposer! We want more Friedel-green at every corner! Quite often one question is brought to us, “what do we want”? We are pleased to present issue one of Trespass Journal. Trespass is self-managed, open access, and unfunded. It is multidisciplinary and publishes work in different languages. It is an online journal which also publishes selected works in print. I guess Tottenham is most known for its riots in 1985 and 2011. These were in no way organised or led by anarchists, and we were a very small part of them. But, they definitely showed the anger sections of the local community had toward the killing of members of their community by the police. This anger was also evident on the streets of Haringey when Joy Gardner and Roger Sylvester were also killed by the state. Local anarchists have always tried to stand side-by-side with those more directly affected. Tottenham and anarchism probably go back a lot further but this is a quick and brief history of the last 30 or so years.